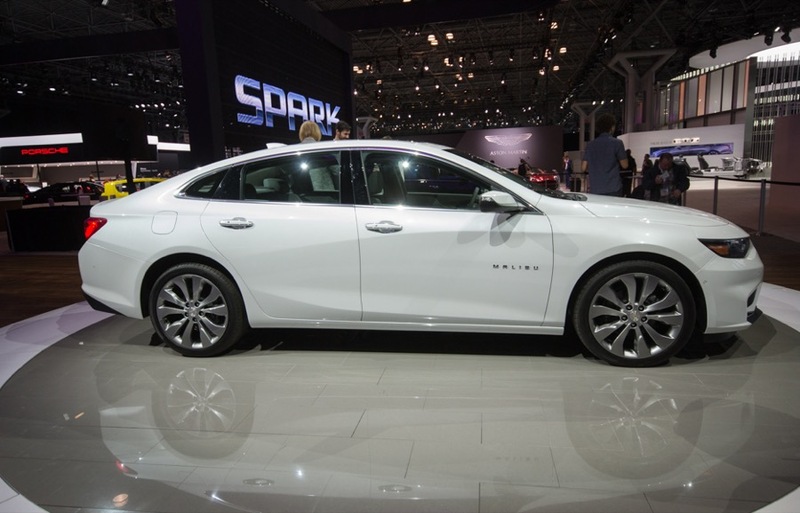 The 2016 Chevrolet Malibu plays in one of the most competitive and high-selling vehicle segments (3rd largest overall) in the North American automotive market. Therefore it serves a vital role for Chevrolet and General Motors as a whole, and for its own sake, has some redeeming to do. 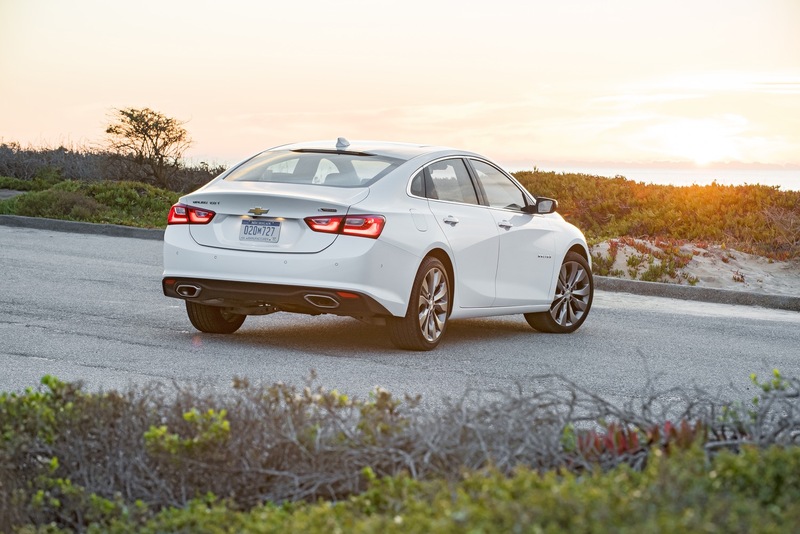 The outgoing Chevrolet Malibu had trouble catching on in part due to its unimpressive fuel economy numbers and rear legroom relative to the segment. There’s no point in exhausting your attention span any further about the outgoing Chevy Malibu, as we have more than enough content for you to peruse through, should you ever be bored enough. 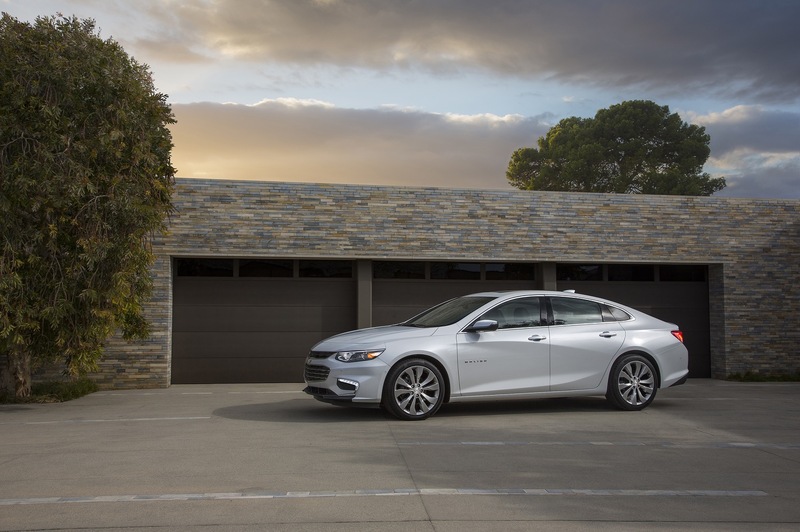 The all-new 2016 Chevrolet Malibu promises us that it would fix the transgressions of old. It does so. And in doing so, gives us the best mid-size sedan from Chevrolet we’ve ever experienced. 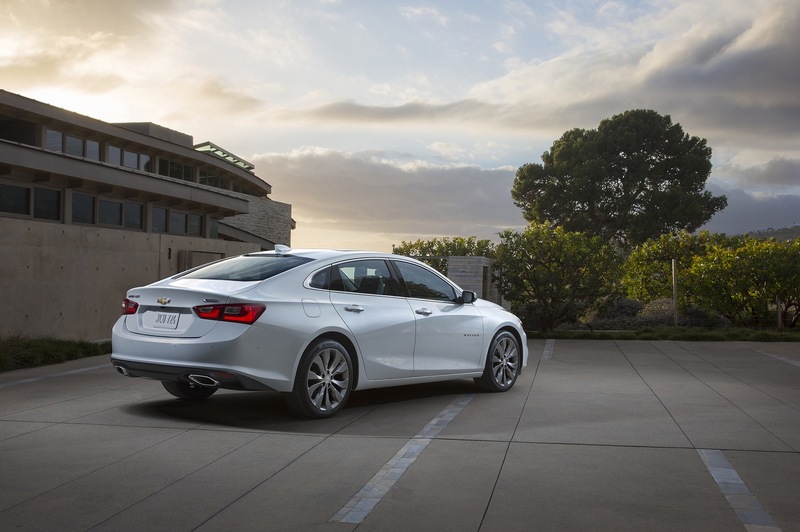 We get 4 more inches of wheelbase, 1.3 more inches of legroom and 2.3 more inches of overall length than the previous generation Malibu. 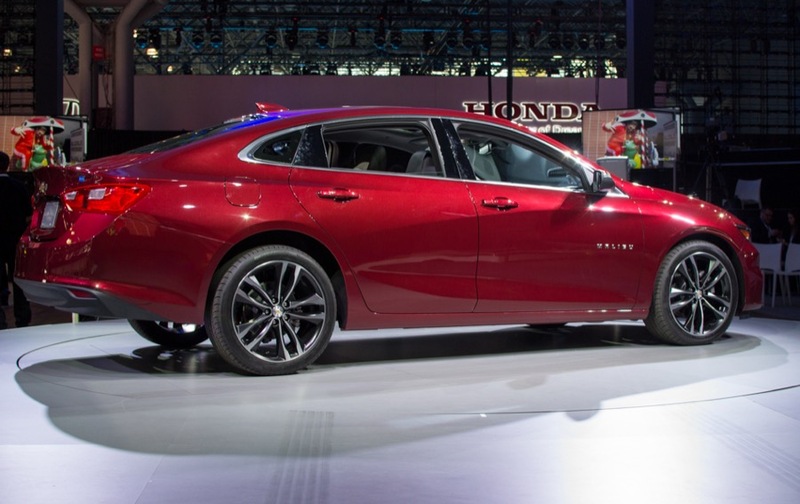 On top of it all, the 2016 Malibu is a staggering 300 lbs lighter than before. Legroom problem: solved. Ride: improved. Handling: more supple and crisp. 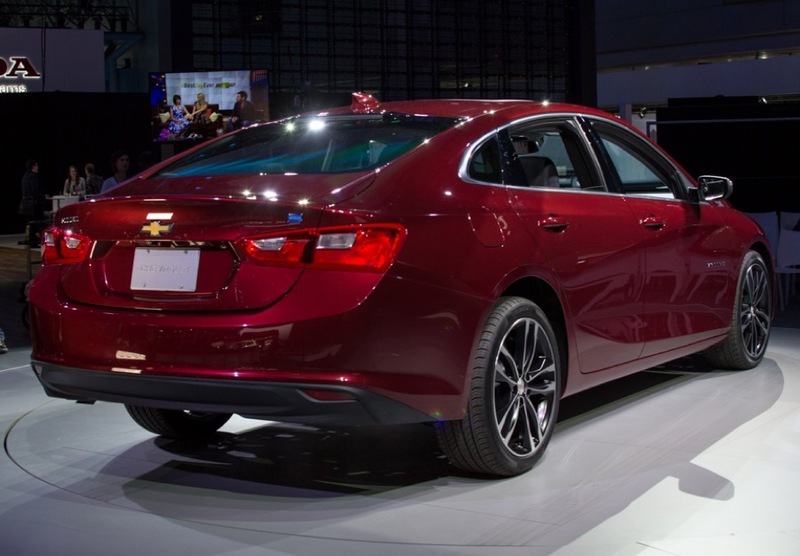 The base curb weight of the 2016 Chevrolet Malibu is listed at 3,086 lbs. 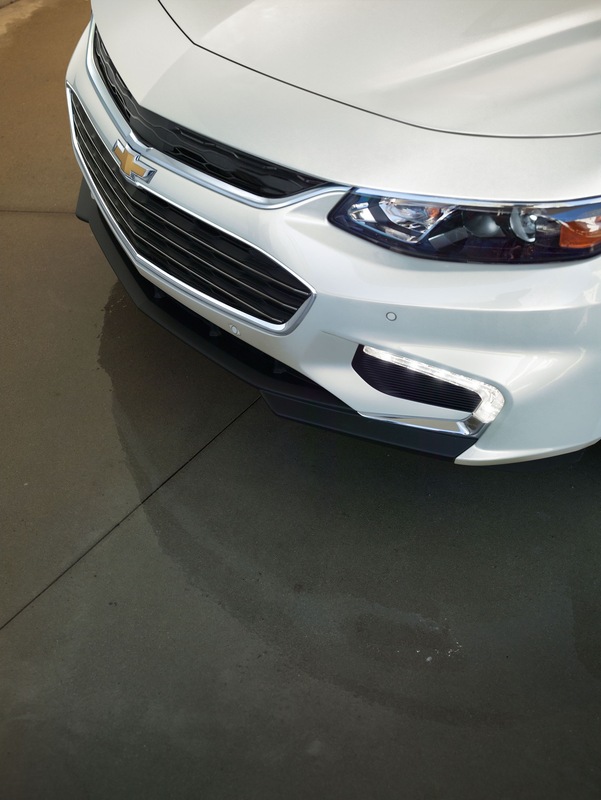 The 2015 Chevrolet Cruze base curb weight is listed at 3,004 lbs. A mere 82 lbs separate a pair of vehicles that are a full 12-inches apart in overall length. When my initial impressions were that this new ‘Bu drives like a vehicle much smaller than it actually is, this is the reason. 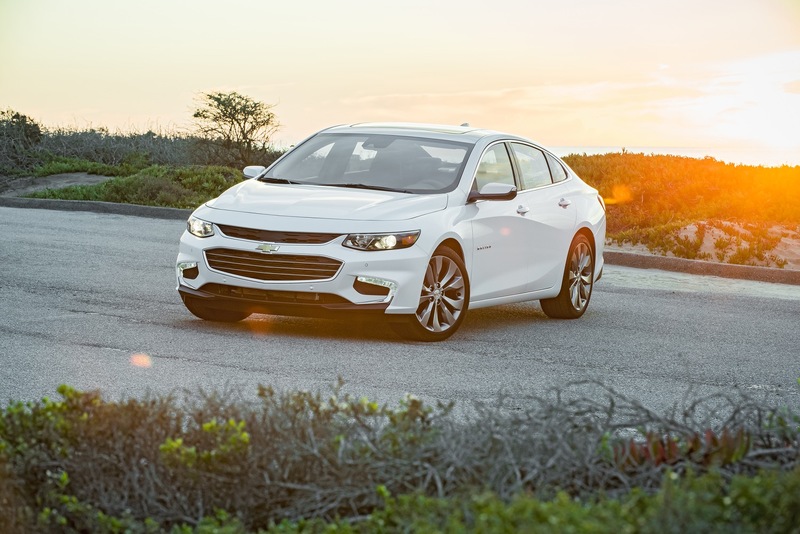 The 2016 Malibu is the lightest vehicle in its segment as it stands. As far as the powertrains go, they’re decent. Not mind-blowing for the class, but should satisfy the majority of consumers. A new 160 hp, 184 lb-ft 1.5L turbocharged EcoTec engine serves as the base powertrain, providing sufficient punch off the line thanks to 17 psi of boost, and on paper returns 27 mpg city, and 37 mpg highway with a new six-speed automatic transmission, with 31 mpg combined. The fuel economy numbers rated by EPA tie the base Honda Accord with its naturally aspirated 2.4L VTEC engine and continuously variable transmission. The Nissan Altima has higher highway fuel economy numbers on paper (39 mpg) but the Malibu ties it with combined mileage. Even so, the aggressive pricing of the 2016 Malibu may help persuade some undecided buyers, with a starting MSRP of $22,500. To see how that measures up to others in the segment, see the chart below. The 2016 Malibu 2.0L Turbo LTG makes things more interesting, with 250 horsepower and 258 pound-feet of torque. Not the most powerful in the segment, but there is something to be said about the weight savings in relation to the heavier, more powerful V6 offerings such as the Honda Accord V6 and Toyota Camry V6. The behavior of the little engine is optimized at speeds below 70 mph. Passing maneuvers at speeds beyond that require noticeably more distance and timing. Such is the nature of little engines with little turbos. Additionally, the quiet ride that’s come to be expected from Chevrolet remains present and accounted for. How about the design? Well, how about it? Most of the GM Authority army seems to take a liking to its looks, and we do as well. The overall design will also be one of the main reasons the 2016 Malibu moves or sits, more than specific engine output, that’s for sure. 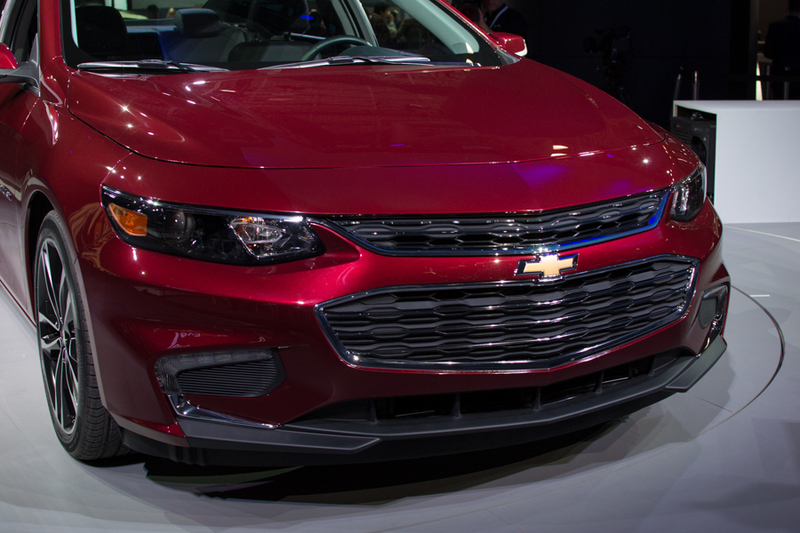 To us, it has a unique look from the rest of the segment, and is distinctively Chevrolet. 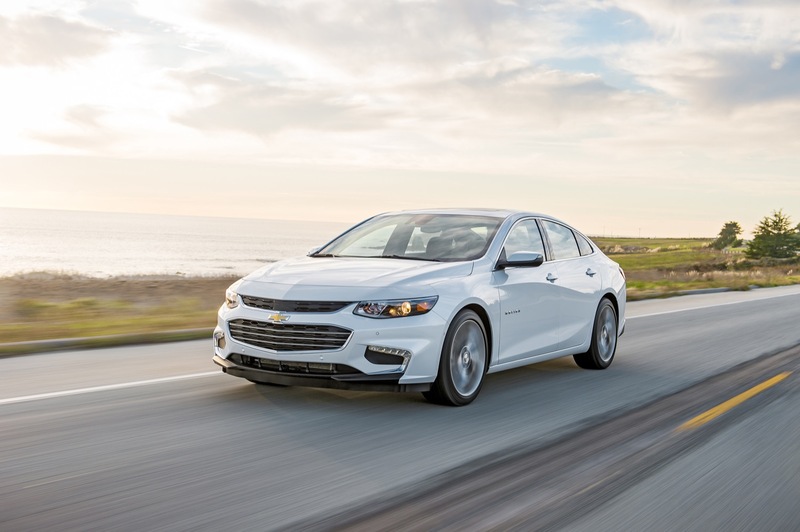 If the powertrains, fuel economy and design of the 2016 Chevrolet Malibu won’t make it appealing to the 2 million annual buyers of the midsize sedan segment there is another element. Technology. This is perhaps where the new ‘Bu stands out more than anywhere else. Features like OnStar 4G LTE, Apple CarPlay (and sooner-or-later, Android Auto), and an industry-first Teen Driver Mode. 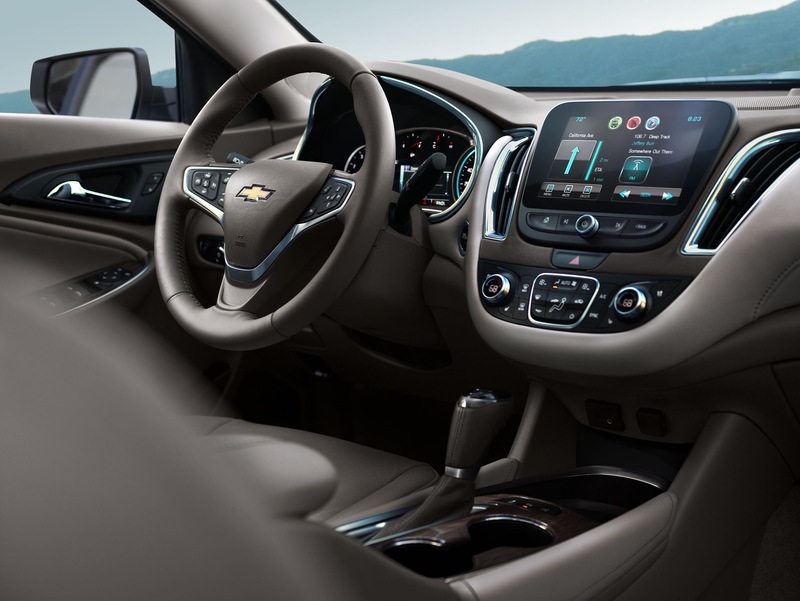 As drivers look for more connectivity and safety in their vehicles, all of these unique selling points could act as beacons for consumers to congregate to their nearest Chevy dealer for a closer look. But it won’t be that easy. The marketing and advertising teams now have to figure out how to promote these features and penetrate through the clutter. 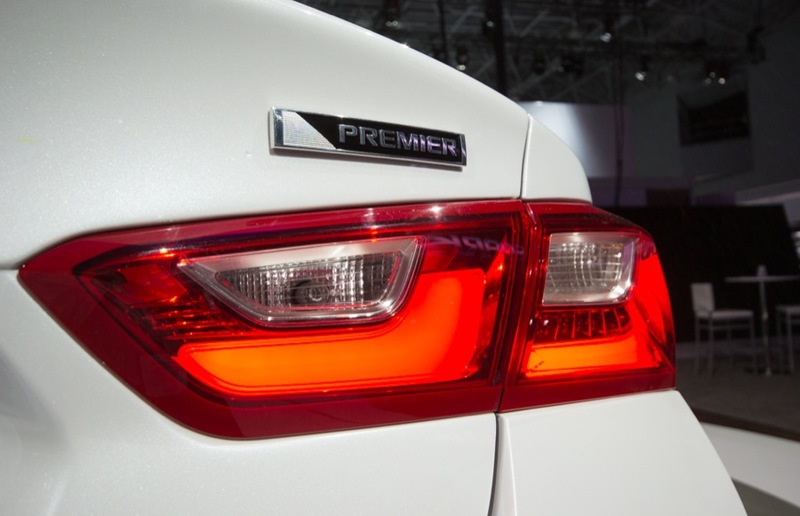 The message needs to reach consumers that would otherwise opt for the leading Accord or Camry — perhaps the biggest hurdle in front of the 2016 Malibu. Time will tell if they can deliver. This car should do well. From what I have seen the only questions left were performance and refinement. It appear based on your observations they have hit the marks here. The weight loss is really big here as it still offers a lot of car but still good MPG and performance. This car is a Value family sedan and that is it’s job. It appears to have hit this mark perfectly. Hats off to the engineering and design department people on this one. They have delivered a bullseye to what the target of the market is. Excellent mass reduction while making it larger! Would like to test drive one. I just can’t see a beautiful car in this size not offering a V-6 option.. I know there’s a big weight reduction in the all new 2016 but please leave the four cylinder engines in the Spark, Sonic and Cruze..
Hi! 2010 called. It wants its V6es back. 2016 is all about boosted fours. Ah, progress… trading a nice quiet, smooth, powerful engine for a smaller raspy one that barely gets the same real world MPG, and can’t even manage to do that on regular gas. Tell 2010 to hold the line, I want her back! I’d need to see comparable power and smoothness, plus at least a 20% gain in fuel economy –all on regular fuel, before I’d consider a four as a replacement to my LFX V6. The 2.0T is a compromise engine in an otherwise pretty decent package. I drove the 2016 Malibu 2.0 and the engine is super smooth and quiet……not raspy at all. I concur! A 300+hp RWD V6 PPV would be interesting for law enforcement as well. There is a 300+ hp RWD V6 PPV called the Caprice that Chevrolet sells to law enforcement and it sold a paltry 196 units last month because law enforcement like the rest of the buying public is gravitating towards crossovers/SUV’s. No! The current Impala is significantly longer than the new Malibu, roughly by 8 inches. Are you referring to the last-gen Impala? The nrw Impala and new Malibu are virtually the same size. Impala is only aprox six inches longer but wheel base makes the two vehicles look and feel quite similar in size. 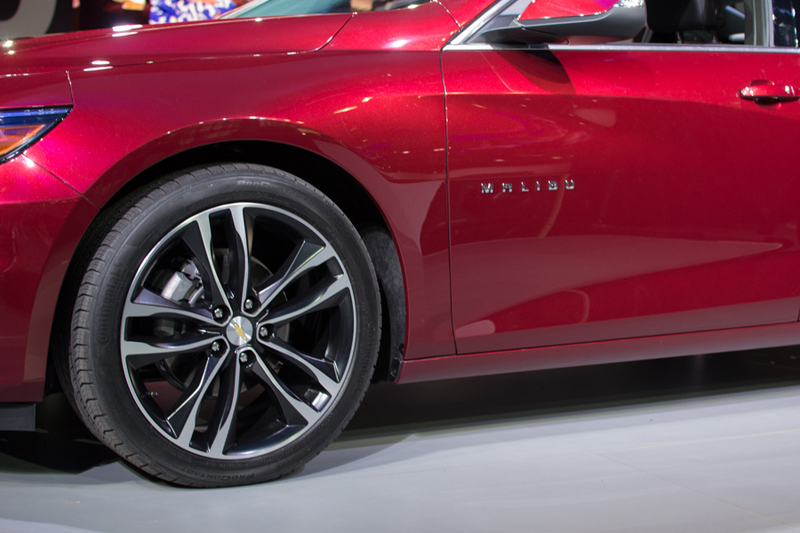 It looks to me like the Malibu’s wheels have been pushed forward a bit which provides for illusion, too. This is why GM has talked about not doing a next generation Impala. Every segment keeps growing, and we’ve got the point where cars like Malibu and Fusion are huge which is killing the “Large” car segment. This Malibu must get the same kind of reviews that Impala was given. So far, the reviews are friendly–mostly good, but a few gripping about interior materials and a lack of sports tuning on par with Optima, Mazda 6 & Accord. All the typical bias against Chevy that we’re used to. A Chevy marketing chief said that Americans view Chevrolet as a “tired brand” Maliand that Malibu has a big job, must be a game changer. Ugly Fusion has helped Ford and given the brand life on the coasts. Malibu will do the same for Chevrolet with it’s more-beautiful-than-a-Buick design. Anything on the 2016 Mailbu Hybrid? Yup! Drove that too. Deserves its own separate piece. Sounds like the new ‘Bu is a very good car!!! Its strongest points are the weight savings, cabin tech and increased passenger room! All of which are crucial in this class! And yet, it still seems mid-pack in regards to its performance, fuel economy and interior quality; although all these things have significantly improved over the last generation model. At least this is what I heard from Car & Driver regarding the 2.0T Premier model and Motor Trend’s testing of the 1.5T base (which they weren’t very impressed with at all)……I’d say a test drive is in order to verify how good the new ‘Bu is. Especially the hybrid model, which Motor Trend has gone on record to say is very good! I gotta feeling I’ll be impressed with this car! I think GM delivered! I’m happy that Chevy North America is finally catching up with Ford by giving Cruze, Malibu and Impala a fit and finish plus attention to detail once reserved for Olds. This Malibu is worthy of the Cutless badge, and price point. This car is so good that the Malibu name, a bad memory for many, should have been dropped! Chevrolet was dumbed down for years (this is still happening in China) so that brands like Pontiac and Buick could appear semi-premium. Ford has positioned itself against Buick, not Chevy, in China & chases VW, not Skoda, in Europe. My one concern is that Buick will be squeezed in the US by not moving up market fast enough due to GMs desire to protect Cadillac. ahhhaa . GM is the only automaker in the world who are struggling with competition from within the company. GM is one of the world’s largest car manufacturers amusing. Other car manufacturers are still struggling with other car manufacturers. GM needs to make its products much like others weaker than the cadillac, because there is not so much to develop the cadillac. Lost in translation. Sentence is have words in order. Is not then is function is not good. More gooder when ist! Easy, now … opc has an on-line degree from Univ of Scott 3. 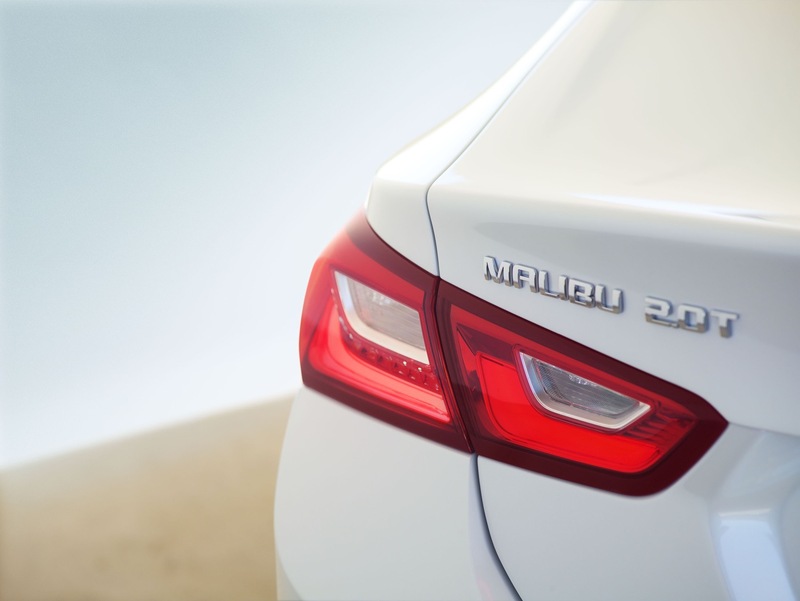 Now that the basic Malibu details are given, Chevy should go for both extremes in the same body: economy and performance. 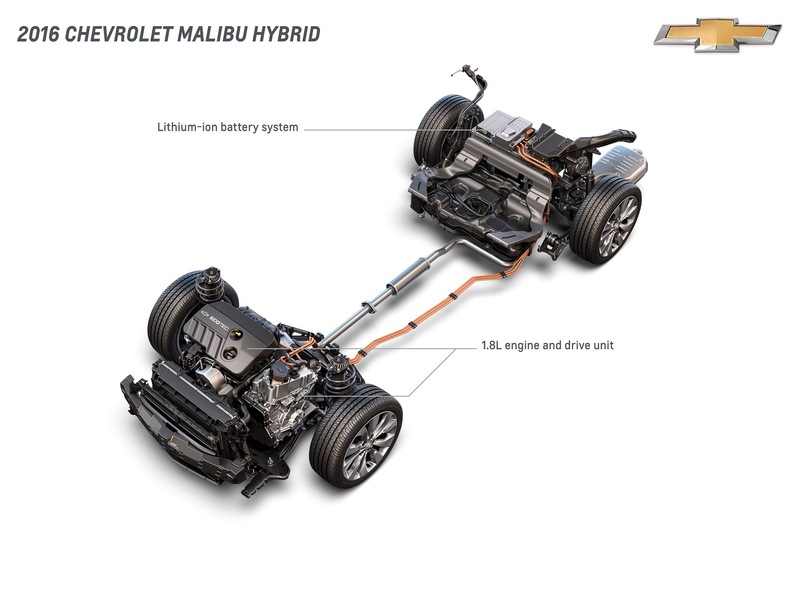 For economy, there will be the Hybrid, whic uses the Volt’s powertrain and a smaller battery for over 40 MPG. And for perfomance, the Malibu SS should get the Cadillac twn-turbo 3.6 L V6. And everyone should be happy! That’s what I’m talkin about! An SS model with an optional TTV6 is what the new ‘Bu needs to garner my attention! The 3.6L TT or perhaps even Opel’s 2.8L TT used in their OPC Insignia would suffice! As it currently stands, I think GM hit all the crucial areas of the segment with new Malibu, which should help it regain traction against its key competitors! My only gripe is that 2.0T seems somewhat underpowered in this application! GM should boost it up to at least 285-300 HP with at least 290-315 lb ft of torque. This’ll give it some more oomph off the line! I’d still take a Madza 6 or Honda Accord if I were in the market for one of these, but for the first time I’d actually consider one of these new ‘Bu’s! BTW, when will the Impala get an AWD option? 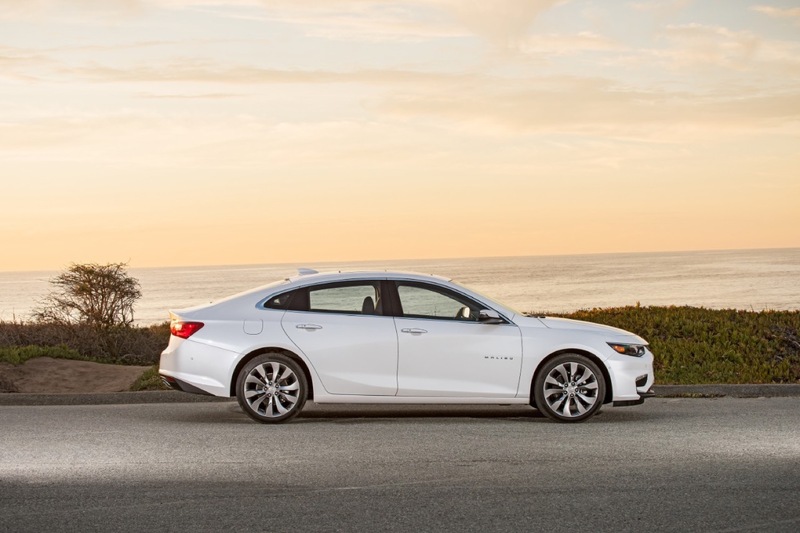 The Malibu has virtually all the essential qualities of the Impala now with the exception of the NA V6! I think GM should do more to the Impala to avoid any possible cross shopping between the two! J you do realize the Opel OPC 2.8 TT V6 cost about $60,000? Yes they just clear $60K in Europe and you would really pay that much here for one? If so GM would sell one. The reason we never got the car is price as it is a damn expensice car. In fact to make an SS version of the Malibu would push it to over $45,000 if you put AWD with it. Now how many do you think they would sell at that pricr? Not many! Now you do have Buick sititng there that can do an Astra Hatch OPC version for a better price and still sell it at a point where it would make money and be able to sell at a lower volume due to the global footprint of the model. I also would wait to see what happens with the Impala. I still could see a 4 door sedan being done on the Camaro platform and use it for the Impala, SS and PPV. You could charge more for this, hold fleet sales for PPV with profits and retain a SS model in low volumes. It would have its own styling but it would be a Camaro under the skin. That would make one hell of a sport sedan and leave the Malibu just what it is a Family car. Do you want a compromised FWD performance car or would you pay a little more for a proper RWD AWD sedan. FYI I own a HFV6 Malibu and a 2.0T and if given the choice for fun to drive and better mileage and performance no question the 2.0 T has the V6 beat all to hell in the FWD cars. I’m impressed with the weight and the sharper styling (though the windows could be a bit lower for better visibility). The self-parking features are a nice add-on as well. C&D reported that the 2.0T is satisfactory, but doesn’t compare with V6 from competitors in performance and barely ties them for fuel efficiency. 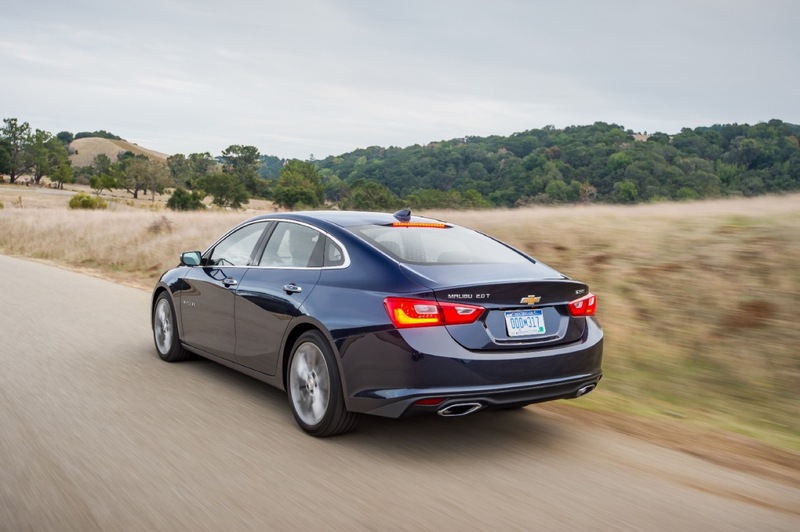 in C&D instrumented testing, the new malibu averaged 20mpg compared to the accords 23mpg. How is it that GM can build a lighter car with a turbo engine that gets lower efficiency than competitors like Accord V6? Also note that the Accord V6 is a very simple design, and would probably be cheaper to manufacture and repair. Consumer reports is saying the same thing in their real-world testing: turbos with high output are no more efficient than naturally-aspirated engines. GM should just drop that gorgeous LGX V6 into the malibu and compete with Camry and Accord head-on. That 2.0T is a laggy, grainy and inefficient engine. Check out Ward’s comments comparing the GM 2.0T and the Volvo T5 – GM is outclassed in fuel efficiency and needs to play to its strengths. Specifically: larger blocks, lower revs, cylinder deactivation, regular fuel. Also, a lot of people are crediting GM with the amazing transformational weight reduction of their new models (camaro and malibu included), but this is because the previous generation was unreasonably heavy. The seventh gen (2008) malibu was light and had a 112 wheelbase (longer than the new model). That car had the right functional design because Bob Lutz made it so. Also, it had the same steering wheel as the vette. As an owner of a HF V6 Bu and a 2.0 Turbo I could not disagree more. This is not a performance car and has enough power to do the job. MPG is the primary thing people buy here. This is not the car replacing the SS. The Turbo is not laggy I know first hand. It can be a problem as the torque can rip the wheel from your hands. As for weight the 08 Malibu is not all that light in fact for today it is heavy. Solid car but heavy. It is also very nose heavy with the V6 and can test the stability control because of the poor balance. Sure you can add this engine and all the added structure needed to support the heavy engine but then you will lose the weight loss and MPG. As for the Steering wheel yes it is similar to the Corvette but larger. My HHR SS does share the same wheel with the ZR1. That is great for me but I would be pissed if I spent $125,000 for a Corvette and got a HHR wheel. People are still pissed over the Vega wheel of 1975 in the Vette. For the mission this car was given it should do very well. The key is not to try to make this car into something it is not. Also you need to look ahead as the V6 will be gone from the others very soon. I know we’ve already hashed this out, but you have mentioned that your car has a tuner 2.0 turbo and does 0-60 in 4.5s with 40mpg uphill. OK. But the stock GM 2.0T LTG most certainly experiences lag and it’s one of the reasons that I didn’t opt for it when shopping for an ATS. It is completely outclassed by the BMW 2.0T and the Volvo T5. I disagree with your logic regarding the discontinuation of V6s simply because other brands are doing the same. By that rationale, GM should discontinue naturally-aspirated V8s in the camaro and corvette and replace them with turbo 6s, like the M3/M4 or C450 or GT-R (the GT-R crushes the vette and it’s a bigger, heavier, older, higher car). GM keeps the V8 because that’s its strength; the V8s descend from pickup trucks which are immense profit-generators for GM. GM pickup V8s crush Ford’s Ecoboost V6. 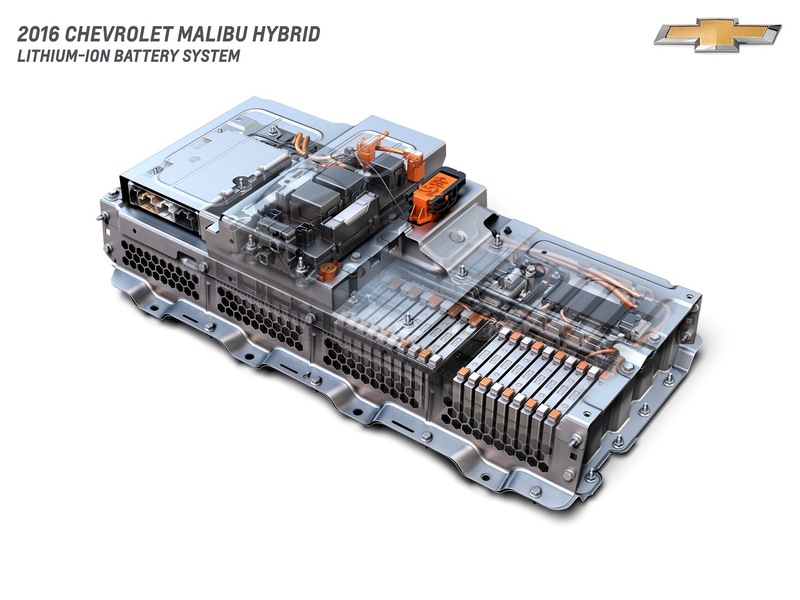 Re the malibu’s raspy 2.0T: The new LGX V6, like the award-winning Honda J35Y V6, can deactivate cyclinders for efficiency, but turn them back on when you need power. 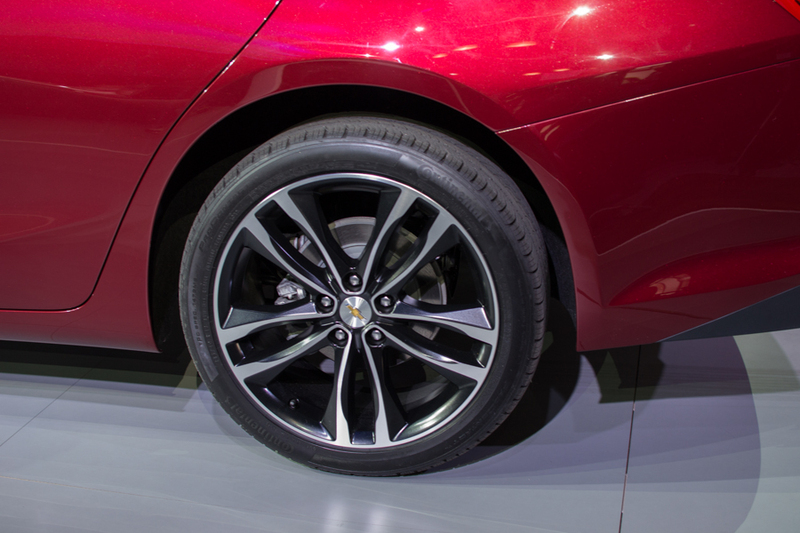 I agree that it adds weight to the front of the car, but one of the advantages of FWD in a family sedan like the malibu is the added weight to the front wheels for added traction in snowy conditions (as experienced in most of north america where the malibu will be sold). Since the ‘bu doesnt offer AWD, this is a useful feature. To sum: Yes, the V6 sedans are heavier and older tech. However, they drive better in snow, are faster, use less [regular] fuel and are easier to fix. 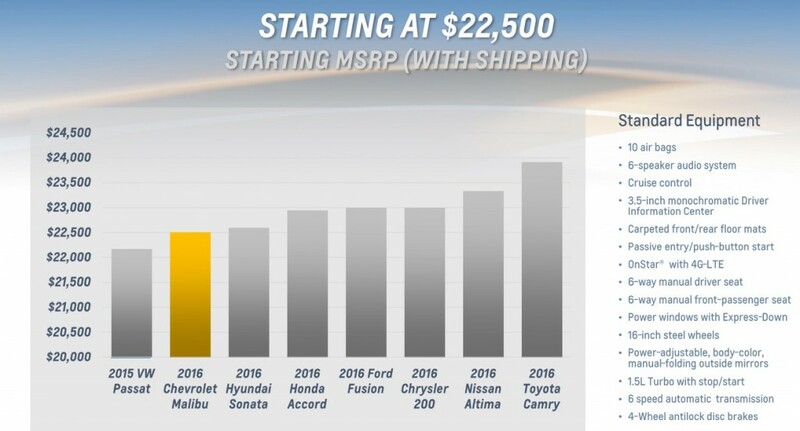 And GM has a brand new one that they stupidly refuse to put into this car, and so they lose this value proposition, and my guess is that once again the malibu won’t sell well and consumers will buy them in droves during the annual 0% for 72 months firesale. I’m a Lutz fan, and I like a vette wheel in my bu. You don’t hear vette fans complaining that their v8 and 8speed are shared with a camaro (anda variant of the 8speed is in the bu). Well I disagree with the inclusion of a V6 as I know that it will go in a few years anyways if it were included today. I also know the 300 pounds of weight cut now will help pay off keeping GM relevant moving forward. The others will lose their V6 in the very near future. Most CAFE ratings will not permit it and globally many countries tax anything over 2.0 liters few can afford it. You have to look at the big picture. Also factor in most of your larger cars and more expensive cars will be V6 cars. If you offer a V6 in the value brand you will have nothing for them to move up to. The offerings will shrink as CAFE moves up. FYI your point of more weight over the front wheels in a FWD car is a proven Lie. Many automakers used it to try to market cars but the truth is in simple Physics. What proof? Ok the law of for every reaction there is an equal and opposite reaction is in play. Ok do you understand this? If not let me explain. You take off in a car the weight on the front wheels of a car transfers to the rear of the car and puts the load on the rear wheels. If you ever have drive a high HP FWD you will note the difficulty of getting the car to hook up as the weight transfer goes to the rear wheels. Many FWD racers use Wheelie bars to hold the weight on the front wheels. Now if you want to say that it is easier to driver there is some truth in that for those who can not handle skid control of a RWD. FWD is kind of point and shoot when driven in slippery conditions. But Traction and Stability control had to be added as if you lose traction on the front wheels you lose your traction but also your turning too. I am sure if you ever drove in the snow you noticed how the car goes straight if you lose traction. So FWD is not better in the snow and the added weight of a V6 just makes it worse. As for faster not bases on the one I own. It goes fine but was still slower than my 3800 SC in my GTP and BU even with out the tune. FYI they are not easier or cheaper to fix. THis is not the 3800 you know. Ever price the timing chains being replaced? Yes they did have issues with them. The Turbo does run on regular fuel as it is rated recommended. Resale is more for a V6 because you pay more to buy it in most models. I think the argument here will be settled once you see the sales as this car will do very well. The Hybird model will make a major dent where GM has failed in the past too. Well I will sum this up. You have many points that are just not true and they are not just based on my opinion. It is ok not to like something but to fabricate things is just a poor way to make a case. As for your wheel in your Bu I am sure you like it. You are on the positive end. But ask someone in a ZR1 that they paid $125,000 for if they like having a Malbu wheel in their car? I think the C7 answed that when they got their own specific steering wheels since that was a major complaint about the cheap C6 interiors. Now get this. I personally would love a V6 or hell a V8 RWD Malibu. If GM would announce that I would be thrilled to death. But I also know what the cards are and I know what GM is faced with now and in the coming 10 years and understand they have to do what they need to do in moving forward. I also know what the market wants and is buying. I am the outsider as I hate the mid size 4 cylinder FWD cars. I grew up with 7 Chevelles in the family, one Monte Carlo and a GMC Sprint SP. That to me was thje golden era of Mid size but I know that formula will not work today with government regulation and the customer buying base. My opionions and facts are based on what is and will sell not what I feel or like. I just wanted to make that clear. In todays market you have to design, build and sell with your head not your heart if you plan to remain relevant in the future. 2013 accord 3.5 V6 at 23mpg, does 0-60 in 5.6. Weighs 250b more than the malibu. It’s amazing how mid-size, well, keeps changing size. I wonder if they will grow even larger as weight reduction methods improve? I miss the days when Chevrolet could field multiple entities in the mid-sized coupe segment: Chevelle Malibu/Laguna/Monte Carlo not to mention Potiac, Olds and Buick producing similar models. The 2008 Malibu did not weight 3086 in any trim level. C&D tested an LT which is the middle of the road version and it weighted in at 3423 and could only do 0-60 in 9.3 seconds. 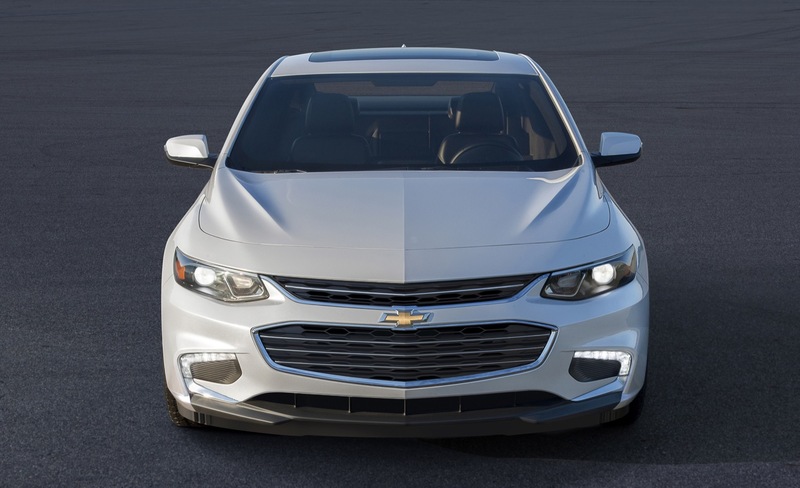 The new 2016 Malibu LT with the base 1.5T does the same 0-60 run in 8 seconds and achieves 3-4 better MPG to boot. And it weight nearly 300 LBS less too. I would say that is progress. GM has to be one family, and to cooperate and provide the best solutions. It is nearly winter. But this sounds like a summer rerun. VAG learned from GM. GM cut costs and stripped each brand of autonomy. Now GM needs to re-learn and rediscover it’s genius by taking a good look at VAG’s brand strategy. GM needs to stop worrying about brand over lap and keep pace with rivsls. This means letting Buick match Lexus with a RWD flagship while letting Cadillac produce a high volume CLA rival. The General is doing right by Cadillac. Next, that same independence needs to be given to Buick as a third global brand in conjunction with Opel/Vauxhall. Opel-Buick-Vauxhall already sells more vehicles than PSA. Chevrolet, too, needs to be handled as the global VW and Toyota rival it deserves to be. Competition will only grow more fierce over the next decade. Barra and Co are off to a great start. 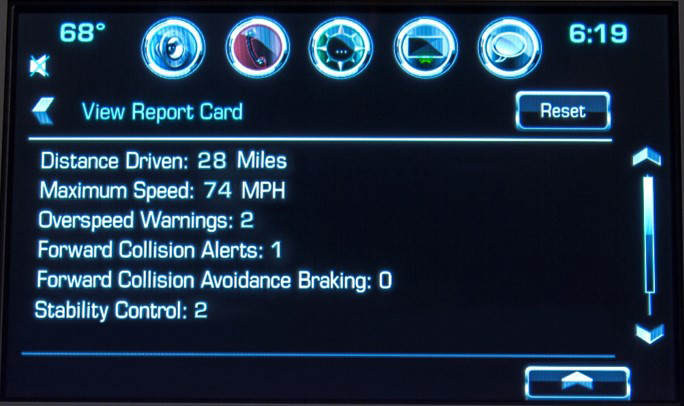 I have a 2014 Malibu with the 2.0t, it has 256hp and 295ft lbs. t. I average 29mpg. 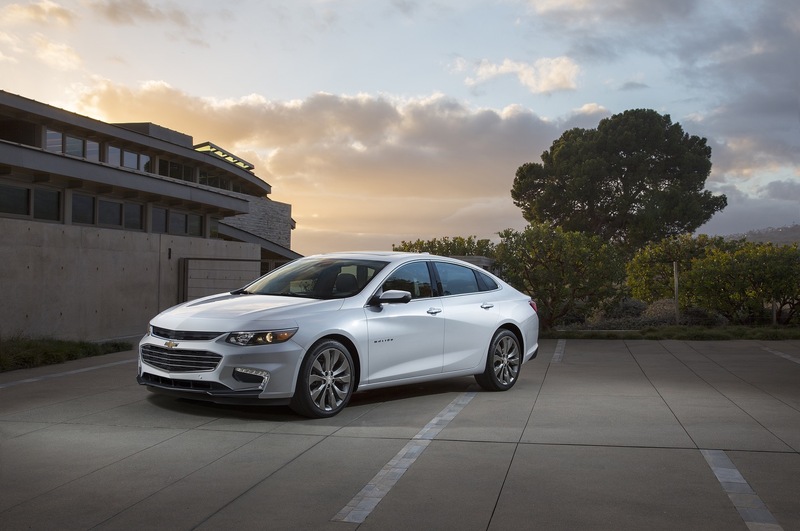 Why did GM depower the 2016 Malibu? Not a good move, I was going to buy a 2016, but GM changed my Mind. Thanks GM! I think you will find this car very satisfying and will not even notice the loss of HP. The loss of mass will also help in braking and handling. I believe you mistakenly typed “300 HP” when it should read as “300 lbs”. Yes I did and if they have not figured it out your post should set it straight. This looks like a nice ride. consumers should get this instead of those corny CUV’s. Am sorry, but I’m just not a fan of the styling. Yes, it is more “stylish” than the previous gen, but it looks (to me) that it is trying too hard to look new / different. It’s like there is just too much going on. What do I mean? Two grille openings in the front and odd shaped fog light openings with odd angles on the lights. The sides are marked by an odd swoopy line that’s unlike anything else I can think of mixed with a hard gash that tries to mimic the Camaro / Corvette features. Now, the overall silhouette, technology, packaging are all first class – and as a GM retiree, I do hope it does well in the market, but I don’t see it challenging the front runners with this iteration. That interior is still just bland to look at. 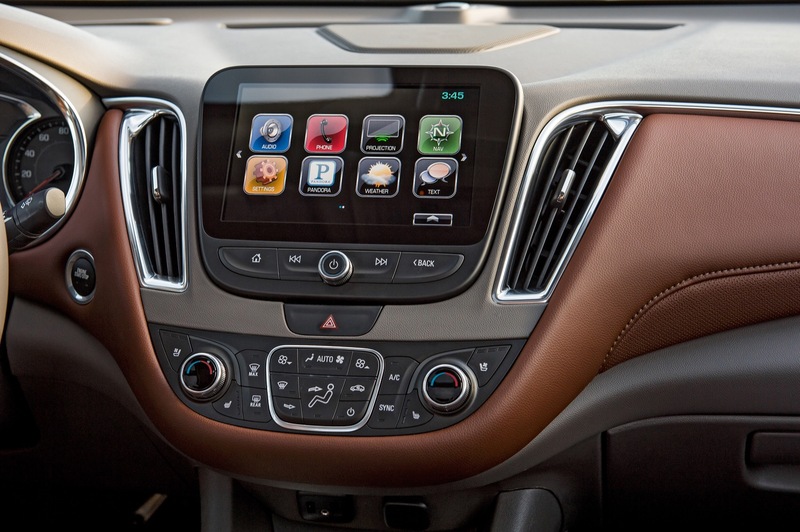 Every GM car has a visually unappealing interior. None are what youd be glad to spend alot of time in. I am new to this forum. On fuel mileage . My 2007 impala (3.5) get better fuel mileage on the highway than my 2014 Malibu 2lt with the 2.5 which is confusing since the mileage rating for the 2014 Malibu was far better than than the impala. 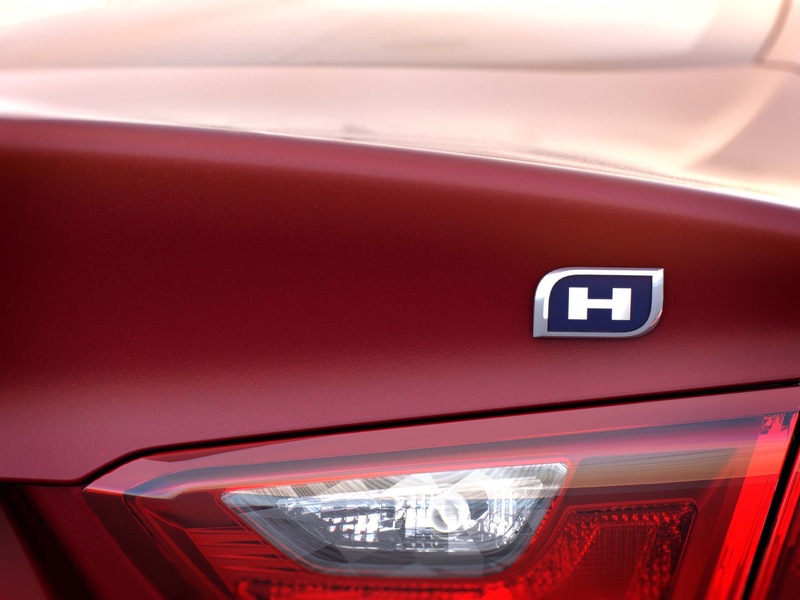 When it comes to the 2016 Malibu, the fuel rank size has shrunk which means there will be more stops for fuel. With the impala I had no problem achieving 500 miles without a stop. With 2014 Malibu I started looking for a gas station around 400 miles and that is with the 70l tank. How far would I get with the 2016, I do not let the tank go below 1/4 when travelling. Btw: the 2.0T is not an option for me, as I will not pay the extra for premium fuel. In Canada I would be paying approx 40 cents per gallon. I drive a 2014 malibu 2LT with the 2.5l 4 cyl engine. It does not get sick gnomic antsy better fuel mileage than my 2007 Impala with the 3.5l V6. 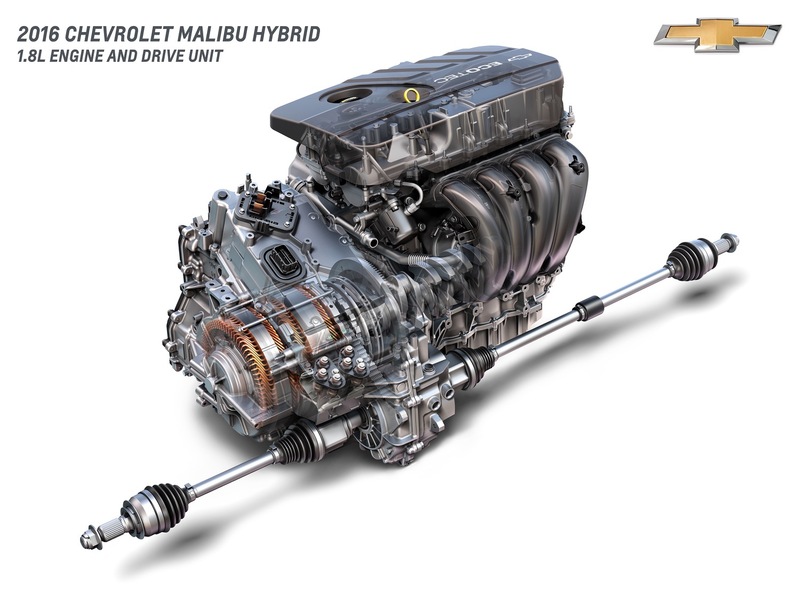 When the 2016 Malibu was announced with a small turbocharged 4cyl (small displacement) my concern was that the fuel mileage will suffer unless the measurement conditions are perfect. While the new Malibu is lighter, it still has to push around with over 3000 lbs. when you add in 4 passengers and luggage, the small turbocharged engine will work even harder. I would have liked to have seen the 2.5l 4 cyl remain as the standard engine with the turbocharged engine be a no cost option. With the small 4cyl turbo, I am going to thing long and hard with replacing my 2014 Malibu with s newer one with the small turbo 4cyl. As an aside, It would be very interesting to have a comparison fuel mileage test where three vehicles were driven coast to coast. A 2014/2015 Malibu with the 2.5l, a 2016 Malibu with the 1.5 turbo and a 2016 Impala with a V6. Each vehicle us loaded with the equivalent of 4 passengers and supporting luggage. Vehicles are to mantain posted speed limits.the results would either confirm or blow away the CR report. I would ask that each driver have a soft foot on the gas pedal. 2016 fuel cost comparison between 1.5l and the 2.0l. The difference in fuel mileage is not significant , but in Canada the fuel cost difference will be huge. The 1.5l is supposed to run on regular and the 2.0l requires premium. On the weekend, the price difference was as follows: Regular was 99 cents a litre and premium was 1.24 a litre. Extend that out to the price of a US gallon you are dealing with $3.76 vs $4.71 a gallon which equates to a 20 percent increase in fuel costs to get the increased performance with lower fuel mileage. Using just the fuel costs, I would not consider the 2.0l and until I can see proof that the 1.5l will provide fuel mileage as claimed or better in real world situations, I.e. Adding in the weight of a family with belongings versus a single driver in optimal conditions, I want the non turbo engine back. GM seems to have a real problem getting the advertised mileage out of there 4 cylinder engines the past 10 years or so. I have rented 2008-2012 Malibu’s with the 2.4, 2013-16’s with the 2.5, Equinoxes with the 2.4 and various others with these same engines and they struggle to get there ratings. Meanwhile any of my V6 equipped GM’s often exceeded there highway ratings especially the 3400, 3800, 3500, 3900 and the newer 3.6 LFX equipped W-bodies.